"This is the highest priority for us right now," Zukunft said in the release on Thursday. "It’s the one area where we don’t have redundancy in our national inventory when it comes to icebreakers." The Arctic region has seen many changes since the Coast Guard released its Arctic Strategy in 2013, such as receding sea ice and increased human activity, which includes a larger Russian footprint in the region, the release noted. The Coast Guard, a unit of the Department of Homeland Security, currently has two operational icebreakers, the Coast Guard Cutter Polar Star and the Healy, the release said. 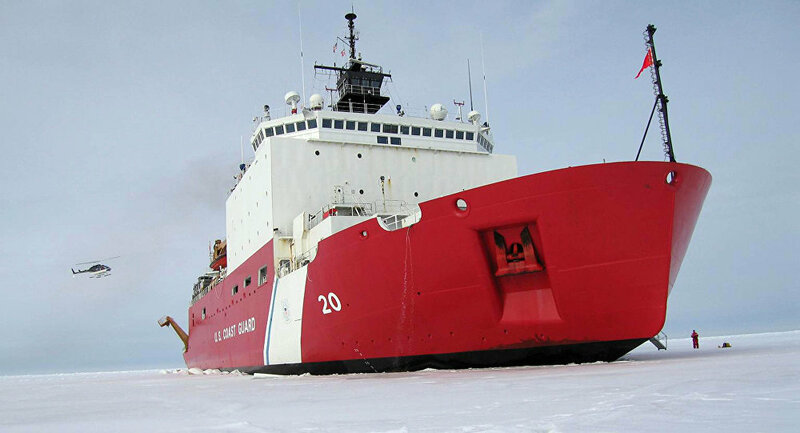 USGC Mackinaw is the third icebreaker in service, but it operates in Great Lakes Area. By comparison, Russia has at least 40 operating icebreakers and at least ten more under construction, according to published reports. The 2019 US budget authorizes $750 million for a third icebreaker, the admiral said, with the goal of eventually expanding the US fleet to six.